When we pick the first green onion and first green tomato from the spring garden, then all that planting we did on a cold day in January pays off! There is nothing like taking a walk out to the garden and coming back to the kitchen with a basket full of fresh vegetables for the evening meal. 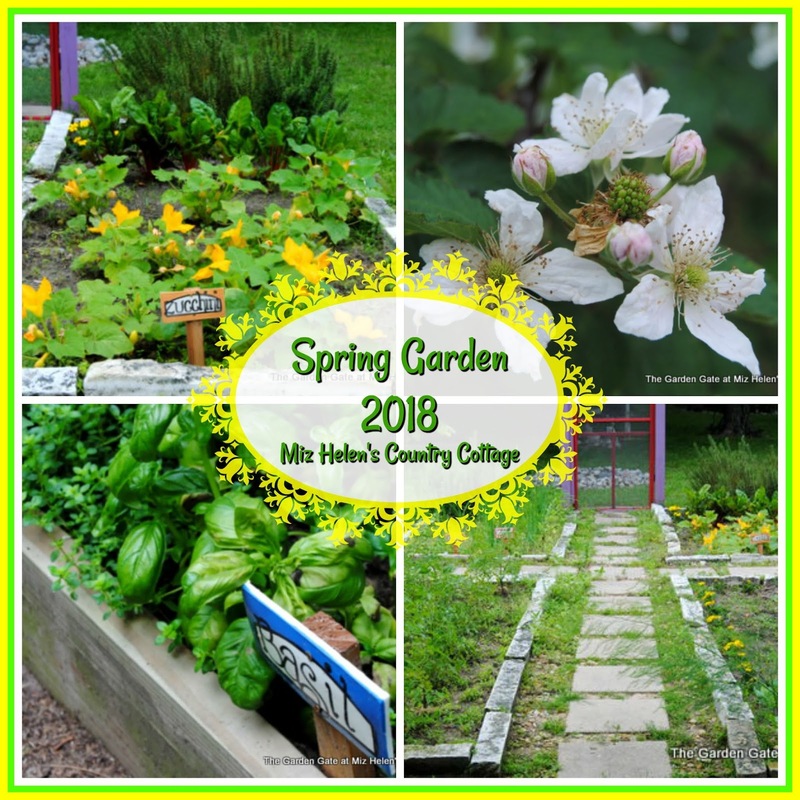 We have had a great spring garden this year with just the right amount of rain to have wonderful green vegetables and weeds of course. We are trying a little different garden space approach this year in a smaller area with maybe not so much to maintain, but with great production. and so far that is working out real well. As we harvest the onions the peppers will have all the space they need to produce. It is so much fun to watch it grow. We have a row of Okra planted on the outside edge of the onion patch. We have really utilized every square inch of the space. In the front beds we have our tomato patch and across the path we have potatoes, collards, asparagus bed, green beans and mixed greens. I can already taste the Cobblers and Jam. All of my friends are really excited to hear about the Blackberries this year! I love the Blackberry Blooms, they are beautiful! And out of that beautiful bloom comes that delicious berry! Last Year Is Doing Great! We don't want to leave the garden area without saying good-bye to our little friend who feeds him or herself at the base of the bird feeder. There seems to be enough for everyone here at the cottage! I sure hope that you enjoyed our walk through the garden today. I love to garden and bring all those fresh vegetables into my kitchen to be enjoyed by family and friends. Thanks so much for stopping by today to spend time in the garden with me and hope you will come back real soon! Hi there Miz Helen. This is my first visit to your gardens and I thoroughly enjoyed the little tour. I popped over from Jann's blog and the Garden Link Party. Happy Gardening! Thanks so much for stopping by my garden today. Hope you have a great week and come back again! 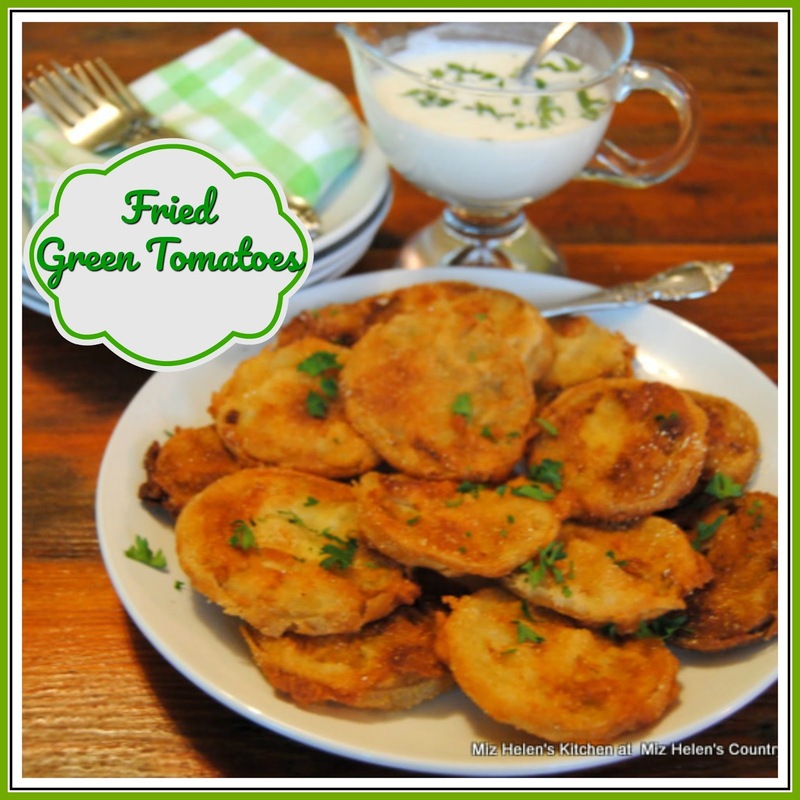 Thanks so much Stacey, we love our Fried Green Tomatoes, now I need to leave them alone so I have some to make Salsa. Hope you have a great weekend and come back soon! Your garden is thriving really beautifully! I planted early veggies in April and tender ones in May. Things are looking good, but no harvest yet. Lettuce will be ready soon. Your fried green tomatoes look delicious! Thanks for sharing with the Garden Party. Sounds like your will have a really great garden salad very soon! Thanks so much for stopping by to visit and hope you will come back soon! Miz Helen ~ I love your blog, and found you on Cindy's blog, Made by You Monday. Honestly, your site is "delicious"! And what lovely gardens you and the Mr. have!! Thanks so much for your sweet comment, I really appreciate it. We love our garden and do work hard in the garden but it sure taste good on the table. Hope you have a great day and come back soon! Everything looks so amazing! Thanks for sharing!